We are extremely fortunate to be the Swellendam member of Classic Retreat, which with Classic Representation makes up the much admired Classic Portfolio. Other clients include the Singita collection, The Alphen, Delaire Graff, Le Quartier Francais, Kurland, Makweti, Mount Camdeboo, Prana and the Islands of Siankaba. 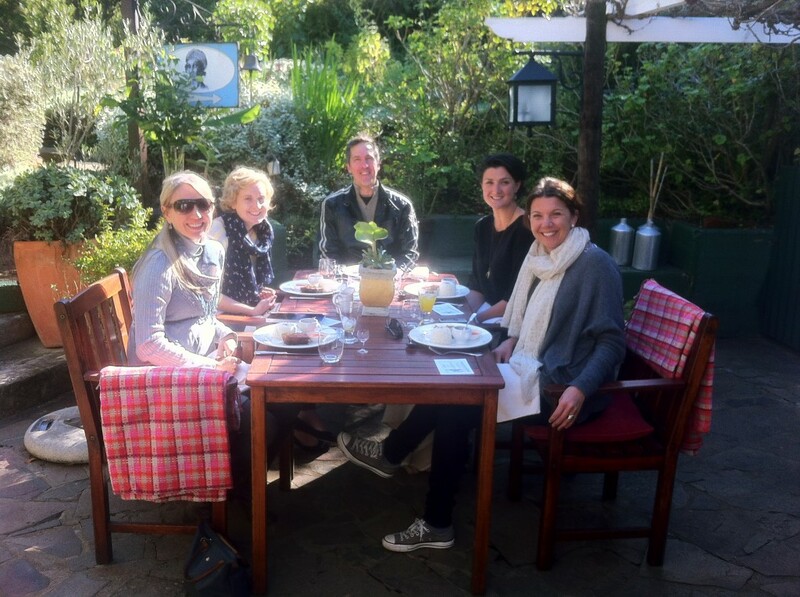 As part of their post-Indaba road trip they spent some time with us here in Swellendam and we treated them to lunch at Augusta’s African Kitchen. Here is the team, with Michel, enjoying their bobotie and sharing some information on the 2012 Indaba, with the eye on the next season.